A good brief is the foundation of successful publishing. On Wednesday 18th October we host our third event with BookMachine “Concept, Creation & Marketing: Why we all need a good brief” to explore why getting the brief right helps to ensure published products go to press without too many hitches. Our founder Mike Cryer will be talking about the most important aspects of the brief from the designers perspective. Also speaking is Jo Sayers from ELTJam who will be considering the briefing process from the end users needs. And Julia Garvey from GL Assessments will be looking at the Marketers perspective and what happens when a brief isn’t met. The evening promises to be a fascinating insight into three areas of the publishing briefing process. You can buy your tickets for this event here. And if you’re an existing emc client please email Sophie for your complimentary ticket. 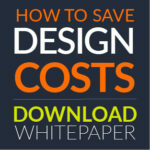 Alongside this event we have also launched a white paper on “Managing design processes within publishing – and how to save costs.” The paper has been written by Mike Cryer, with contributions from Sarah Richardson at BookMachine and interviews with industry insiders. The paper has been created to shed light on the design process and help publishing professionals better understand how to work with freelancers, the information they need and how to cut and manage costs effectively. To download your copy of the white paper please go here. We hope the paper will be a useful resource for both experienced and newbies within the publishing process.